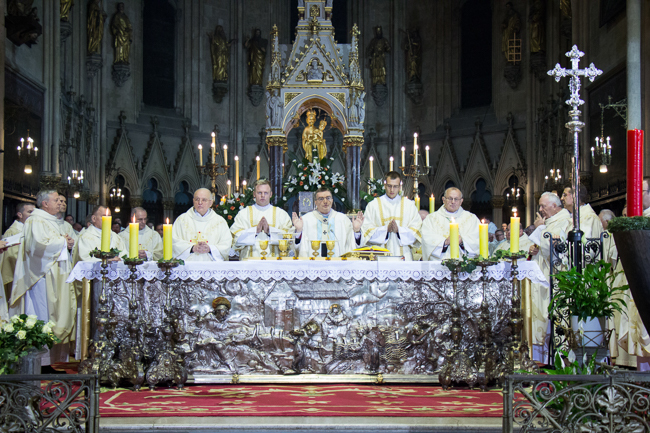 The Holy Mass which was celebrated by Cardinal Josip Bozanić, the Archbishop of Zagreb, on the Feast of the Immaculate Conception, on 8 December 2016, opened the Second Synod of the Zagreb Archdiocese. 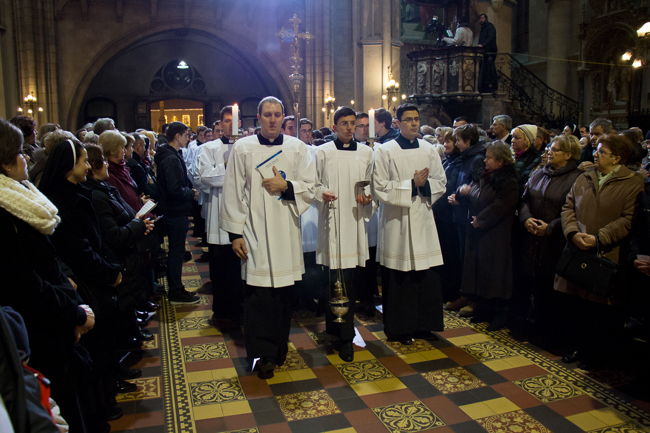 The celebration began with a procession from the Archdiocesan theological seminary made up of two hundred priests, layman believers and members of the Synod elected to participate in synodal sessions next year. In the introduction to the Eucharist, the Cardinal said that the history of salvation in our particular Church has borne many fruits, especially those of testimony and profession of faith, from shepherds to layman believers. After the introduction, Apostolic Nuncio to Croatia Msgr. Alessandro D'Errico read the letter sent by Pope Francis via Pietro Parolin, Vatican Secretary of State. 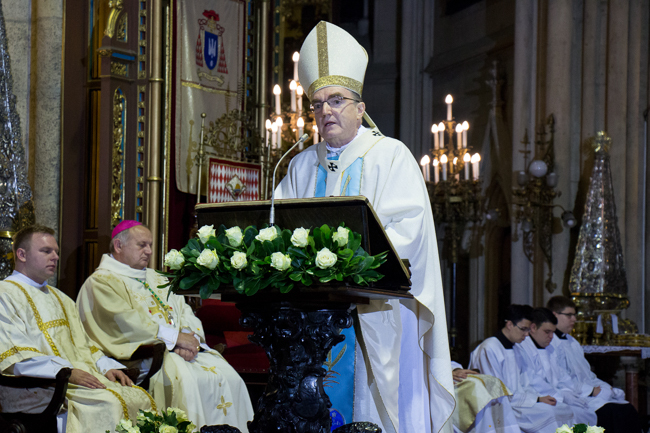 At the beginning of his homily, Cardinal Bozanić reflected on the Feast of the Immaculate Conception and said that the greatness of the feast is in the fact that, through Mary, from the history of sin, history of man’s alienation from God through Mary arises not conviction but history of salvation, history of God’s compassion and His vicinity which reaches its fullness in Jesus. He pointed out that in all three daily readings one can feel the presence of the grace of God seeking man and care for his happiness. The Cardinal continued by saying that the Church built on Mary’s faith and the faith of the Apostles is invited to respond to God, trust in Him, and surrender to His will. The Synod is such a walk, a walk of an open heart, a walk which recognizes God’s gifts and His calling, and one which tries to execute what is entrusted to us as the Church of Zagreb, with knowledge that without God’s help we cannot do good. He added that apart from teaching us how to converse with God with an open heart, Mary also teaches us how to be strong without accusing others, hiding or shifting responsibility to others as Adam did. Dear believers, it is most important to rely your life on God’s word, regardless of how frail and weak it may seem on the outside, just like Mary did. God Almighty entrusts himself in the simplicity of words, entrusts himself to the weakness of the human body so as to create an indestructible force capable of resisting evil and conquering it. Any good, any selflessness and any act of love, no matter how insignificant it may seem, has that force within itself, the Cardinal said. He also stressed the fact that Mary teaches us how to read history, comprehend events, treasure them in one’s heart and ponder over the link between them with gifts of mercy. 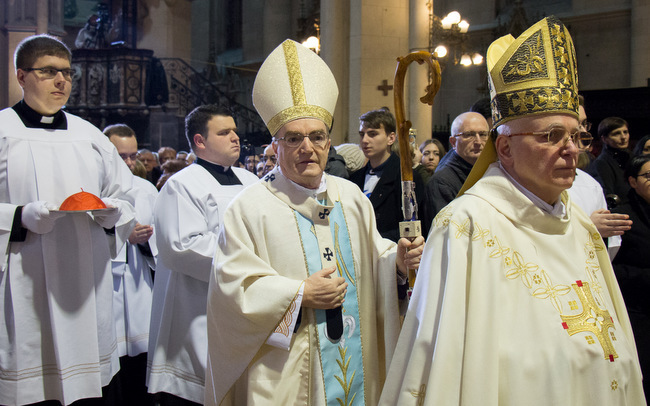 After the homily, members of the Synod professed their faith and upon the Post-Communion prayer the Cardinal, together with the Apostolic Nuncio to Croatia Msgr. Alessandro D’Errico, auxiliary bishops to the Archbishop of Zagreb Msgr. Valentin Pozaić, Msgr. Ivan Šaško and Mons. Mijo Gorski, Military ordinary Msgr. Jure Bogdan, Military ordinary emeritus Msgr. 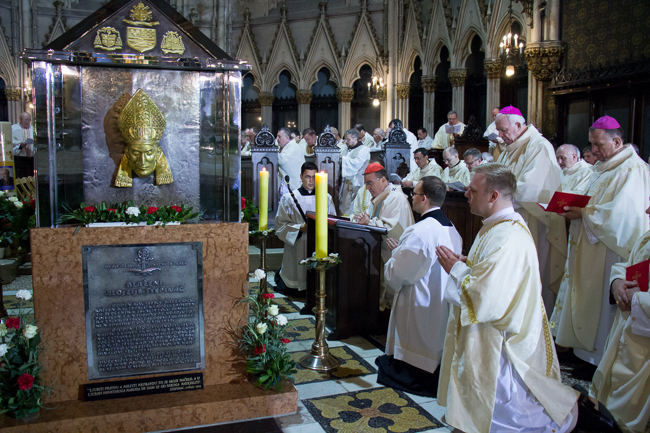 Juraj Jezerinac and other priests, prayed for the Blessed Alojzije Stepinac's canonisation on his grave. The Cardinal addressed the believers again before the final blessing and stressed that the Synod is joint work of the Holy Spirit and God’s people. It is a joint walk on the path of listening, above all listening to God and His word, thus enabling himself to listen to man and his need, and to value history and legacy which led by God’s providence enabled an atmosphere of today, as well as foresee the future which may bring new challenges. 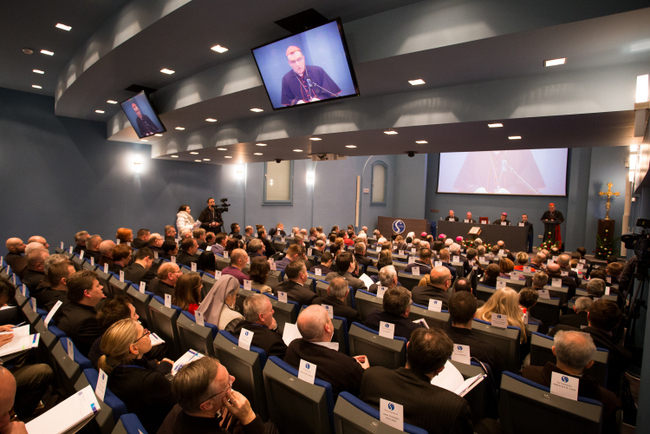 The first session of the Synod was held in the Vijenac Hall of the Archdiocesan Pastoral Institute on 9 and 10 December 2016, Friday and Saturday respectively, in Kaptol 29 in Zagreb. “The Church of Zagreb in the act of evangelisation” was the first session topic and the members of the Synod discussed proclamation of the Word of God, evangelisation, catechesis, Sunday school and life abiding by the Gospel and Christ’s Proclamation.